If you’re not big on greens, this is a perfect way to get a concentrated shot of nutrients! Spread on a sandwich or tomato salad, add to pasta, serve as a dip, add a little to your vinaigrette, or spread as a base to your next homemade pizza. The possibilities are endless! Blanch kale in a large pot of boiling water for about 1 minute. Drain and rinse in cold water to stop the cooking. Dry. 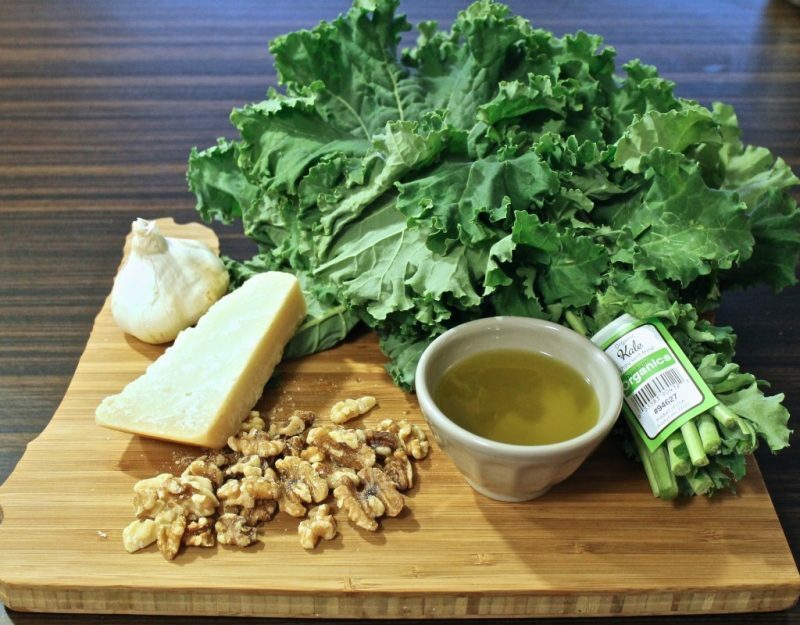 Place Kale, garlic, Parmesan, and walnuts in a food processor and pulse until coarsely chopped. Add lemon juice and salt and pepper to taste.